Analysis: Both of Howard's first two seasons as a pro were cut short by injuries to his right ankle and/or foot, limiting him to 24 of a possible 32 appearances. With 16.6 yards per catch, 11.5 yards per target and an 18.3 percent touchdown rate (11 TDs on 60 receptions) in his career, he's been dynamic when on the field and now will be operating under new coach Bruce Arians. Assuming he can stay healthy in 2019, Howard is a breakout candidate by any measure. Analysis: Howard's 2018 season is over regardless of whether Howard needs surgery, but this at least bodes well in terms of the extent of rehab required to return to form. The second-year tight end had come into his own this season prior to the injury, racking up 34 catches for 565 yards and five touchdowns over 10 games. Without him available moving forward, Cameron Brate figures to slot in as the team's primary tight end. Analysis: Per Rick Stroud of the Tampa Bay Times, Howard sustained the two injuries on the same play during Sunday's 38-35 loss to the Giants. The 24-year-old will finish the campaign on IR for the second time in as many years, providing a disappointing conclusion to what was shaping up to be a breakout season. 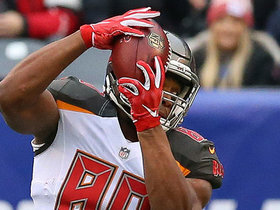 The Buccaneers will look to Cameron Brate to serve as the primary replacement at tight end for Howard, who had recorded 34 receptions for 565 yards and five scores in 10 games. Analysis: The decision to get another medical opinion usually hints at a significant injury, but Howard may just be exercising caution to confirm the initial optimistic diagnosis. 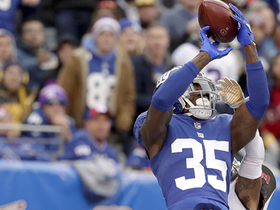 He was removed in the fourth quarter of Sunday's 38-35 loss to the Giants, finishing with five catches for 78 yards on six targets. An absence for Week 12 against the 49ers would leave Cameron Brate with a prominent role catching passes from reappointed starter Jameis Winston. 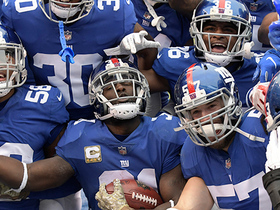 Howard (ankle) will be evaluated Monday after exiting Sunday's 38-35 loss to the Giants in the fourth quarter, Eduardo Encina of The Tampa Bay Times reports. 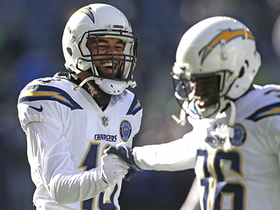 Analysis: Howard was deemed doubtful to return and never reentered the game, finishing with five catches for 78 yards on six targets. He suffered an MCL sprain back in Week 4 against the Bears, but a conveniently timed bye in Week 5 allowed him to avoid any absences from games. Howard won't have the extra rest this time around, as the Buccaneers host the 49ers on Sunday in Week 12. 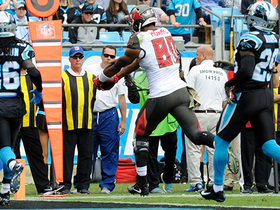 Cameron Brate could be looking at a three-down role if Howard doesn't play. 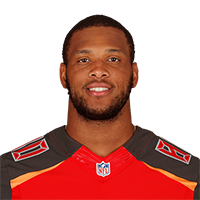 Howard is doubtful to return to Sunday's road game against the Giants due to an ankle injury, Scott Smith of the Buccaneers' official site reports. Analysis: Howard was forced from the contest when he was tackled from behind on a fourth-quarter reception. Afterward, the Bucs' training staff tended to his lower right leg, which eventually was determined to be an ankle issue. 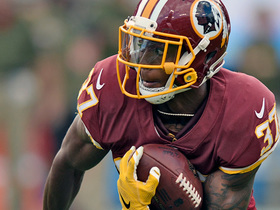 Because he's unlikely to retake the field, Howard will end Week 11 with five catches (on six targets) for 78 yards. Howard brought in one of two targets for 15 yards in the Buccaneers' 16-3 loss to the Redskins on Sunday. 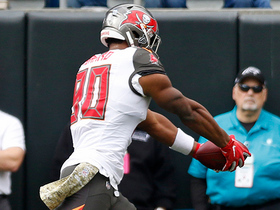 Howard brought in four of six targets for 53 yards and two touchdowns in the Buccaneers' 42-28 loss to the Panthers on Sunday. 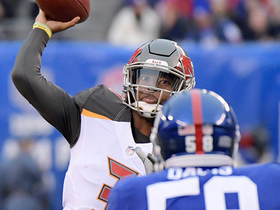 Tampa Bay Buccaneers quarterback Jameis Winston extends the play and finds tight end O.J. Howard catches for a 24-yard gain. Tampa Bay Buccaneers tight end O.J. Howard twists in the air and hauls in an impressive catch for a 20-yard gain. 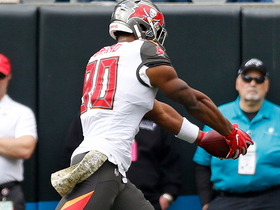 New York Giants defensive back Michael Thomas halts the drive and intercepts Tampa Bay Buccaneers quarterback Ryan Fitzpatrick before halftime. NFL Network's Fantasy Live analysts humbly brag about the players they predicted to do well who aren't top players. 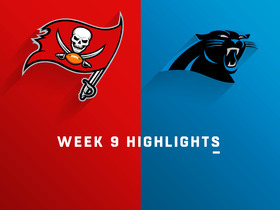 Watch the best plays from the Week 9 matchup between the Tampa Bay Buccaneers and Carolina Panthers.